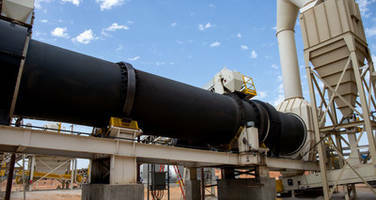 The Frac Sand Dryer/ Cooler leverages inherent material characteristics for speed processing. The system can process wetter sand in excess of 8-10% moisture and prevents the need of bottlenecks for sand plants. This dryer processes wetted sand at a rate over 100 TPH (8-10% moisture), 160+ (5-6% moisture) and 250 TPH (3-4% moisture). The unit comes in straight-through design, customizable flights and thick-walled internals. Owners and operators will soon be able to see the new Dryer / Cooler in person. As a leading EPC contractor supporting the frac sand industry, IAC will have a full-scale Dryer / Cooler with duel feed system, on display at the Frac Sand Equipment EXPO October 23rdpreceding the Frac Sand Supply & Logistics Conference October 24-26 in San Antonio. There, IAC will present on their full Frac Sand Industry capabilities, Patented Dryer / Cooler and RCS mitigation, at booths #40 and #50. IAC is strategically located in the center of the US in Kansas City, with field offices on the East and West coasts to be responsive to our customers. Visit www.iac-intl.com or contact Mike Sedler - msedler@iac-intl.com or Glenn Smith – gsmith@iac-intl.com directly for more information on IAC Frac Industry capabilities and solutions.